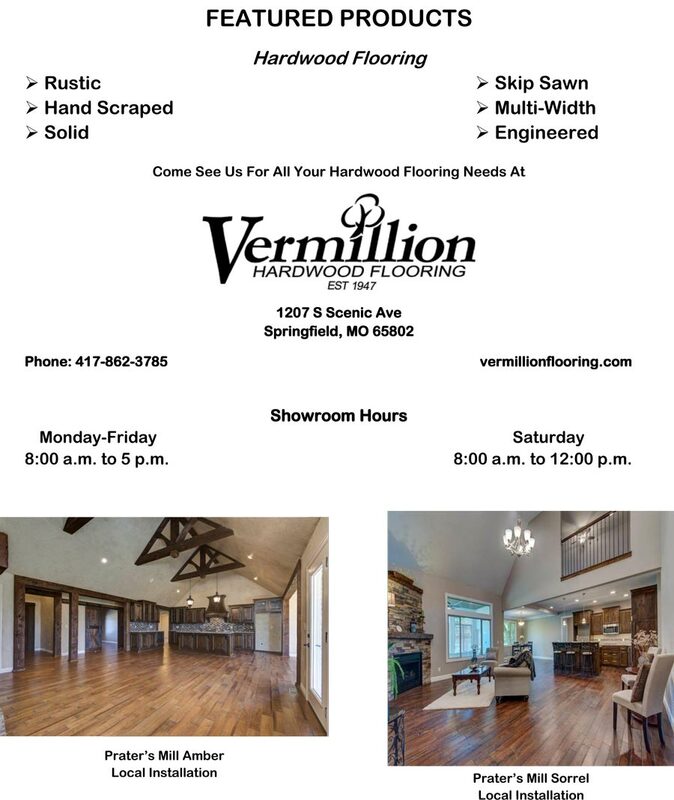 Whether you’re starting from scratch building a new home or remodeling, Vermillion is here to assist with your Hardwood Flooring needs. Our showroom features a variety of Red Oak, White Oak, Hickory, and Seringa hardwood flooring in light, medium, or dark colors. Come see our rustic, hand-scraped, solid, skip sawn, engineered or unfinished flooring. Not sure where to start!! Our knowledgeable Sales Associates are able to assist with a variety of questions every step of the way. In their 90 years of combined experience, they have heard almost all of them. Vermillion Hardwood Flooring is locally owned and is proud to work with many local builders and installers. This gives us a chance to refer a local installer if you are not a do-it-yourself kind of person. No worries for customers brave enough to do-it-yourself! We are able to walk you through the process. We even offer the supplies you need to keep your new floors clean and looking good. Come see us at 1207 S Scenic Ave or call 417-862-3485. This post brought to you by Vermillion Hardwood Flooring.